In some sense, today is the birthday of Warren County, Pennsylvania. Legislation was passed on March 16, 1819 to charter the County out of a neighboring county, taking full effect later that year. On the same day, James Madison was celebrating his 68th birthday. He was born March 16, 1751 and died June 28, 1836 after a long life and legacy. I deeply revere many of the Founding Fathers: George Washington for his impeccable character and leadership; Joseph Warren for bravery; Benjamin Rush for his service; John Witherspoon for intelligent faith; and so on. But Madison has the special place as one of the wisest Founders, in my opinion, that I have studied. On Thursday, I spoke about Madison at length when afforded the opportunity to speak for a few minutes at a Sunshine Week event hosted at our Warren County Department of Public Safety. Although Madison wouldn’t have called it “Sunshine,” I think the principle is core to his understanding of good government. The architects of this constitutionally federated government is that of a “republican” form. That word comes from the Latin “res publica,” translated “affairs of the people.” The affairs of the people are necessarily public, not private. So we have a sense that we, as constituents, have a right to know the actions of the republic. That right is implied in the First Amendment’s clauses related to free speech and the press, and more specifically codified in Open Records and Sunshine Law. To clarify, many of the Right-to-Know requests I see have to do with personal agendas and not truly keeping the government accountable, but it is an absolutely necessary function of all levels of government. I’ve come to believe that more since serving as Warren County Commissioner for the last several years. To be clear, the reason for ‘sunshine’ in government and its great importance has little to do with a citizen’s personal curiosity or agenda and everything to do with keeping the government accountable to the people. Did you ever wonder why there’s so much conflict in government? It’s because the Founders intentionally built a system where interests conflict. Nobody has the sole power of the purse and sword. Nobody is judge, jury and executioner, because nobody can be trusted with that much power. Of course, on the local level, “auxiliary precautions” include the various elected offices, such as Commissioners, Judges, Sheriff, District Attorney, and so forth. … popular Government, without popular information, or the means of acquiring it, is but a Prologue to a Farce or a Tragedy; or, perhaps, both. Knowledge will forever govern ignorance: And a people who mean to be their own Governors, must arm themselves with the power which knowledge gives. The important point, to me, is that Sunshine in and of itself is an inadequate tool to keep government accountable. It is not enough to rely on an unused mechanism, the opinions of others, the local newspaper, or worst of all, social media clutter. 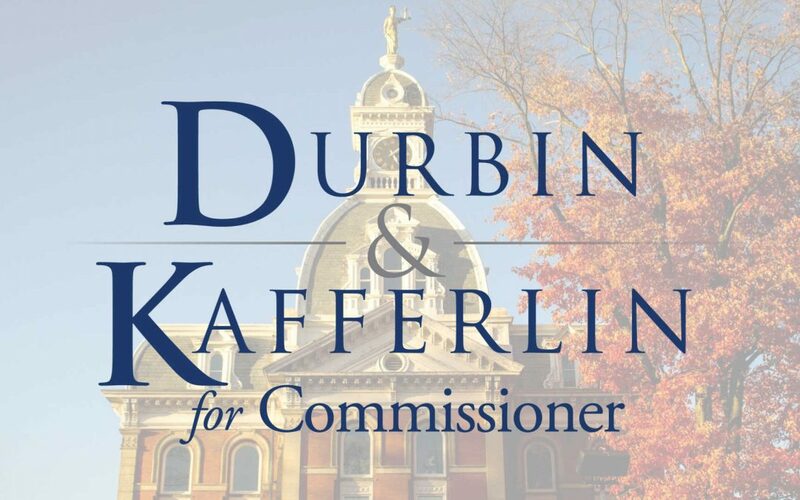 Paid for by the Allegheny Leadership PAC, an Authorized Candidate’s Committee Registered in Warren County, Pennsylvania for Tricia Durbin and Ben Kafferlin, both seeking the Republican nomination for Warren County Commissioner in the 2019 Municipal Primary.